Mastering the finer points of English grammar is not enough as you need to practice (a lot) to become fluent in English and speak like a native speaker. 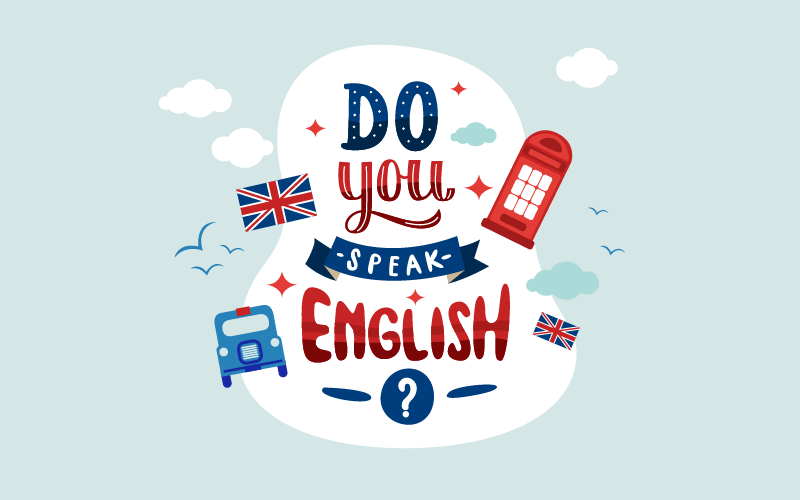 Speaking, listening, and reading are the three important steps you need to follow to improve your spoken English and to become a native speaker in any language for that matter. These three steps involve many other things, for example, reading blogs, interacting with native speakers, listening to podcasts, etc., which you need to follow to speed up the learning process. Becoming fluent in English is not exactly rocket science; anyone can become fluent in any language by following the basics and keeping up with the demands of learning the language. Here I present to you some of the best ways that can work wonders for beginners, trying hard to become fluent in English. If you are a student who seeks a bright future in mass communication, practicing on your own will not make sense. You will certainly need guidance and support from experienced tutors who will help you reach your full potential and learning objectives. Similarly, if you want to become fluent in the English Language, you will need to learn from experienced English tutors who will help you become fluent. A simple search online for an English course near to you will show hundreds of training providers and programs that will help you learn the English language. You can even test your language skills by taking a course from a certified training provider. Make sure you get trained by a tutor who can help you improve your communication in English for a great career ahead. Don’t forget to go through the parts of the course you are going to take. From writing emails to speaking at interviews and giving presentations, the course should include everything. Not only will you be able to learn how to communicate with potential employers, employees, partners or clients but you will also become confident in your career. An increasing number of people are turning to software to learn English grammar to streamline the process of understanding the difficult language. English grammar can be tough to master on your own in the beginning. Even the most fluent speakers make grammar mistakes – how can you check whether you are speaking or writing correctly? Using software, you can practice English grammar in your comfort zone, and you don’t need to worry about mistakes at all. Before making a payment for the subscription to software, make sure you check the features of the software program to evaluate whether it fits your needs or not. MeritSoftware breaks essential grammar into simplified parts that are easy to understand. English4Today is an English platform where the English learning community interacts by asking questions and answers. English software is a software product that explains to you varying concepts of English grammar effectively and easily on your computer. As the world is going online, how can learning stay behind? If reading books are out of your style and you prefer tutors to books, online learning is the best option for you. The advantage of online learning over other types of learning is that it is always available to you 24/7 and you can learn anytime, at your convenience. The courses are usually developed by language experts who are highly experienced in the language and understand very well the challenges faced by everyday learners. Cudoo, for example, provides online language courses developed by native speakers in over 160 languages. The courses are divided into several levels which are further divided into hundreds of lessons that you can take any time, anywhere! You can also learn on the go with the Cudoo App for iOS and Android users. What’s more, when you learn with Cudoo, you become part of a growing community of learners that are helping disadvantaged and less-fortunate individuals around the world to learn new skills and change their lives for the better. When you complete any course on Cudoo, you unlock free access to somebody, somewhere, to learn a new skill. When you learn, the world learns! Listening to music helps us relax our senses and nerves. What if it becomes one of the reasons to improve your speaking skills? You can improve your English to a great extent by listening to music in English and by singing alone. Moreover, you can learn intonation pronunciation that every English speaker must be aware of. When you sing aloud, you will even be able to improve your vocabulary and colloquial phrases. Studies reveal that singing English songs for half an hour every day helps you attain a natural flow of English rhythm. Keep on imitating the singer, and you will be able to pronounce phrases just like native speakers do in a short time. I advise you to listen to “Tom’s Diner” by Suzanne Vega. The song has clear words and describes everyday scenes and actions in an easy way. Practice as much as possible. Take advantage of every possible chance you get to speak, especially amongst native speakers. Don’t let the boundaries of hesitation tease you for not speaking and being unconfident. No matter where you work, greet everyone by saying hello. Not only will this act as an exercise for you but you will also be able to eliminate your hesitation of not speaking in English. Don’t worry if you are not grammatically sound, as we have all had to start from the bottom. Stop miring yourself in the thoughts, for example, what others will think, whether my sentences are correct or not, etc. Buckle up your shoes and speak out your mind with the spirit of learning. Your friends will definitely understand you, and you will be considered as an example of a great learner. To harness the maximum benefit of your speaking practice, start recording whatever you speak not only when you are alone but also when you speak with a native speaker. By listening to your conversations in free time, you will be able to evaluate your pronunciation and notice areas, which will further leave no scope of error. Moreover, you can also check out the content of the conversation, while making detailed notes on mistakes, pronunciation, and spellings. Self-learning is unbeatable if are dedicated. Immerse yourself in English as much as possible by reading grammar books. Some of the good grammar books are The Blue Book of Grammar and Punctuation, The Only Grammar Book You’ll Ever Need: A One‑Stop Source for Every Writing, Essential English Grammar, etc. Watch English movies again and again to understand the intonations of English. Pick a simple topic every day and write 500 words about it. You don’t need to act like a technical writer; I want you to speak your mind. Don’t bother about grammar mistakes as you can find a number of grammar checkers online. Not only will you be able to know your mistakes but you will also get detailed explanations of your errors. A win-win situation. You won’t be able to speak correctly on your first attempt. When you try to speak this multiple times, you will get to know how the shape of tongue changes. Practice till you become fluent! This will ultimately improve your capability of speaking tough words fluently. Moreover, you won’t fear pronunciation as twisters work great at teaching the right way to speak words. If you worry about mistakes, you will not be able to learn. You have to engage yourself in English learning techniques every day to master it. English is backed up by so many advanced concepts, for example, subject-verb agreement, phrases, slangs, etc., that are important to understanding to mastering this language. Beginning with the process of learning English may not be easy for you like articles, conjunctions, and models will confuse you, but when you will practice harder, you will start enjoying the learning. The way you communicate decides your future. If you are not fluent enough to present your thoughts in front of others, you won’t be considered a good fit. So many English books, blogs, guides, webinars, ebooks, etc., are uploaded onto the web daily that can help you understand the English language in a better way. If reading blogs and books do not satiate your needs, you can hire an English tutor online to learn in real time.